1. Brooms and mops - They may sound a little old school in the age of vacuum cleaners that can run around and clean your floor while you do the dishes or make dinner, but brooms and mops are essential office janitorial supplies for keeping floors tidy. Brooms are still the best way to sweep up dry messes quickly when you don't have time to do a vacuum, and mops are essential for cleaning sticky, dirty floors. 2. Dustpans - A dustpan is another oldie but a goodie that's essential for cleaning up little messes like broken glass, spilled bowls of cereal or a pile of dust and dirt that's formed in the office kitchen. And speaking of dust, make sure you have a couple of fluffy, feathery dusters in your broom closet as well to keep your office surfaces dust-free. 3. Buckets and wringers - If you're using a mop, then of course you also need buckets and wringers on your list of office janitorial supplies. Fill your buckets full of soapy water for dipping your mops into, and wring out the mops before you run them over your floors. 4. All purpose cleaners - Always have a range of all purpose cleaners on hand to keep surfaces hygienic and sparkling clean, such as Ajax bleach powder cleanser, germicidal cleaner, multi-surface floor cleaner, and desk and office spray cleaner for cutting through grease, dirt and grime. 5. Bathroom cleaners - No one likes a bathroom that has unsightly brown stains breeding mildew and bacteria - especially in the toilet. 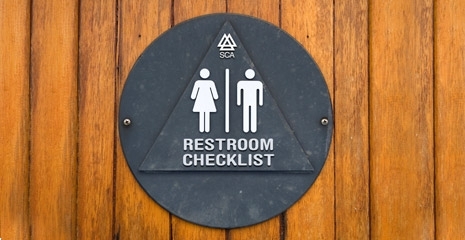 Keep your bathroom in pristine condition with office janitorial supplies like disinfecting toilet bowl cleaners, bleaches, urinal deodorizers, toilet fragrances, plungers and mildew removers. 6. Air refreshers - In enclosed spaces full of plenty of people, the air can sometimes smell less than clean and fresh, which can be unpleasant and distracting for employees. Keep the air in your kitchen, work spaces and bathroom smelling clean with aerosol air sanitizers, fragrances and other office janitorial supplies. For a more consistent approach to air freshening, choose air fresheners that are fixed to the wall and set to dispense fresh air at timed intervals. 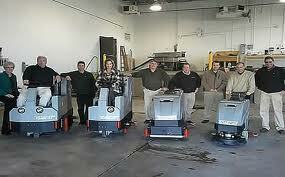 What Do Janitorial Companies Do For Businesses. Janitorial services use a number of cleaning tools. 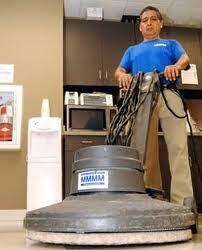 Large companies frequently contract janitorial services to clean and maintain their buildings. Janitorial companies provide a range of services based on their areas of expertise and the needs and budgets of their clients. Being environmentally aware is no longer a fad or a trend, but is now part of everyday conscientious. Whether you run a home-based or off-site business, there are simple things you can do to run an environmentally friendly business. First Research is the leading industry intelligence company that helps sales teams perform faster and smarter, open doors, and close more deals. First Research performs the "heavy lifting" by synthesizing hundreds of sources into an easy to digest format that a sales person can consume very quickly to better understand a prospect's business issues.